'Winter days are creeping in,' the baritone horn warns in the solitary distance, as the fog rolls in every morning, nestling our homes in a thick blanket that children disappear in as they amble to school. Image: Dabin Choi. 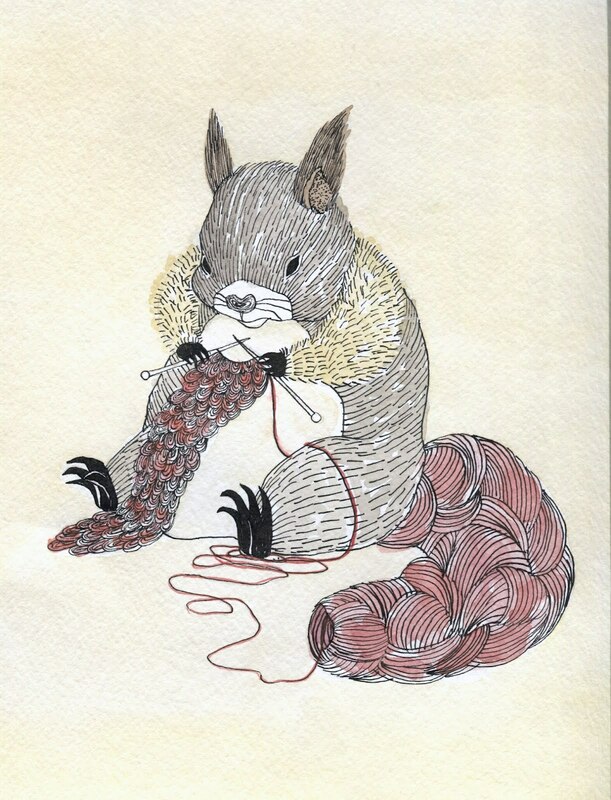 Illustration for her childerens book Knickity Knick Knack, about a squirrel knitting its own tail.